One of the world�s best all-round climbers will speak alongside the second Scottish woman in history to climb Everest at the Braemar Mountain Festival 2019. Over 40 talks, instructor-led sessions, workshops and evening events will take place as part of the four-day mountain festival from Thursday 28 � Sunday 3 March 2019 in a variety of locations in and around the village. Commenting as the countdown begins to the opening of the festival, organiser Alastair Hubbard, a local business owner who also volunteers with the Braemar Mountain Rescue Team, said: �Braemar Mountain Festival is a true showcase of Scotland�s mountain life, renowned across the world for its remoteness, beauty and, of course, unpredictability! The life and works of one of Scotland�s greatest naturalists, Seton Gordon, will be the subject of a talk by writer James MacDonald Lockhart. 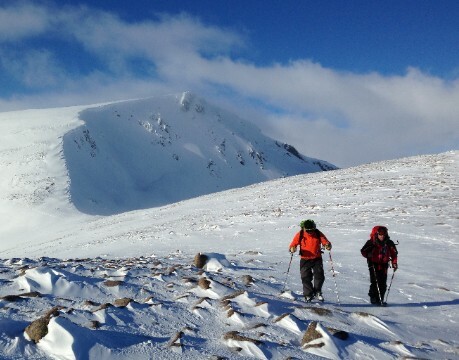 Alastair Hubbard added: �Our speaker programme is packed full of world-leading mountain-lovers. Renowned fell-runner Nicky Spinks, mountain biking obsessives Trippin Crew and mountain forecaster Geoff Monk will give an insight into their inspirational adventures. Walking in the Cairngorms, by Al Hubbard.